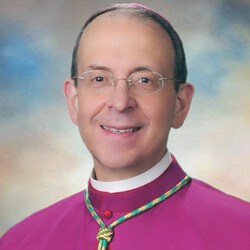 As you know, Pope Francis has accepted Bishop Bransfield’s resignation and has appointed me to serve in the meantime as the Apostolic Administrator of the Diocese of Wheeling – Charleston. What this really means is that I shall be your interim “Pastor” in the Diocese of Wheeling – Charleston. It will my duty, privilege, and joy to serve as your shepherd – to care for you as members of the Lord’s flock and to journey with you toward healing, reconciliation and a hopeful future. We have all been jarred by the news regarding Bishop Bransfield, in particular, the allegations of sexual harassment of adults leveled against him, allegations which must now be carefully and fairly investigated. The Vatican has instructed me, as Apostolic Administrator, both to announce and to conduct an investigation, the results of which I shall submit to the Holy Father for his judgment. I assure you that this investigation will begin promptly and, while I have been asked to oversee it, it will actually be conducted by competent lay persons with the necessary skills. The goal of this investigation is to arrive at the truth and justice for the good of the individuals involved and for the common good of the Church we love. Please pray for an abundance of God’s wisdom that this process may proceed in a manner that is just, thorough, efficient, and ultimately, a source of healing. I have spent the last three days here in Wheeling taking a “crash course” on the Diocese of Wheeling-Charleston. I did so through a series of meetings with diocesan officials and consultative bodies such as the Finance Council and the Priest Consultors. 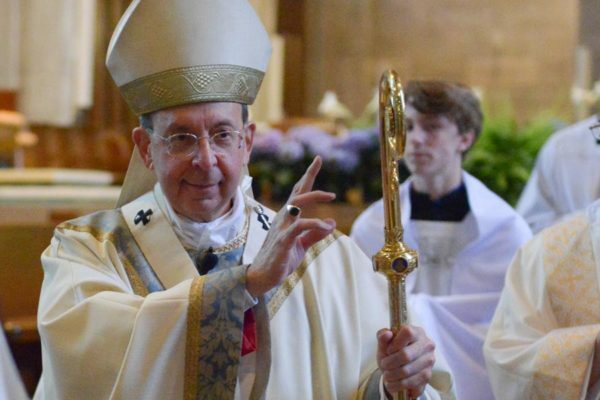 Given the fact that I remain as Archbishop of Baltimore, I shall try to devote as much time as I can in serving you by offering Holy Mass in various places around the Diocese, and, to the extent possible, meeting with priests, deacons, and members of the laity. Please pray that I shall have the stamina necessary for doing “double duty”! And, as you know only too well all of this is set in the context of the wider sexual abuse scandal currently rocking the Church… allow me to say a word about that. In the wake of the Archbishop McCarrick scandal and the Pennsylvania Grand Jury Report, many people, including yourselves, are angry and bewildered. The unspeakable crimes perpetrated by many clerics against the vulnerable – including those who have risen to the Church’s highest ranks – coupled with the failure of some bishops to respond to allegations of abuse with candor and thoroughness – all this has created a crisis of trust. Many wonder, as you must wonder, if they can trust the Church’s leaders. As this crisis has deepened, people are asking for action, and action now. You rightly ask what will be done, what will be different, and what is in place to prevent such terrible things from happening again. And while it will take some time to get to the bottom of troubling questions and to put into place an across-the-board plan of action, I can report that deliberations between the Pope and the American Bishops are well underway on ways to hold bishops accountable for their own misconduct and for failing to deal properly with allegations of abuse. As proposed, these initiatives would call upon the leadership & expertise of the laity. It is my hope & prayer that such measures will be implemented as quickly as possible. In the meantime, there are things that can and are being done here in the Diocese. For example, ensuring that seminarians receive a very sound priestly formation; continuing the diocesan policy of fully and transparently cooperating with all levels of law enforcement; continuing to seek the direction of the Independent Lay Review Board so as to strengthen diocesan policies for the protection of children and to root out from our midst anyone who may threaten the innocent & vulnerable. Above all, I pledge to reach out to anyone who has been harmed by a representative of the Church, whether cleric or lay person in the hope of bringing some measure of comfort, healing, and closure. I’d also like to mention the good work being done in parishes, schools, & other ministries for the protection of children and young people – such as implementing mandated policies designed to protect the vulnerable – things like background checks, fingerprinting, and training for clergy and laity, as well as for volunteers that work with young people. Thank you for promptly reporting overt behaviors that endanger the young and for being alert to the telltale signs of such behavior that current training enables us to recognize more clearly. And you know that all allegations are reviewed not only by the Diocese but also by an Independent Lay Review Board. But with all of that said, we cannot forgot that we have a long, long way to go to achieve healing and reconciliation – but it is a journey I wish to make with you. It is a journey that stretches to Williamson, Bluefield, Princeton, and Sweet Springs, to Summersville, Charleston, Huntington, and Parkersburg; a journey that extends to Clarksburg, Fairmont, Morgantown, and Weirton, a journey that goes from Wheeling to the entire Eastern panhandle, including Martinsburg, Charles Town, and Shepherdstown. Even as I continue to shepherd the Archdiocese of Baltimore, I shall do my best with your prayers and the help of God’s grace, to be God’s humble instrument of healing, reconciliation, and stability as we prepare the way for a new bishop and for a future full of hope. How we might do this is well-described for us in today’s Gospel where Peter, inspired by the Holy Spirit, declares that Jesus is the Messiah of God. Whether times are good or bad, peaceful or filled with controversy and scandal, we must unite, my friends, in proclaiming Jesus Christ to be our Savior – Jesus Christ who is “the same yesterday, today, and forever.” Let us not forget, even now, that Jesus truly loves us his Church, even when we sin! And having confessed Jesus as Messiah and Lord, to be the foundation of the Church and of our lives as members of the Church, we must not make Peter’s mistake of trying to make Jesus into a Messiah who conforms to our thoughts, our opinions, our way of thinking. Rather, we must get behind Jesus and follow him, knowing that our journey inevitably leads to the Cross. In these distressing days, you are being asked to carry a heavy cross indeed but if you allow me to do so, I will try to be a Symon of Cyrene who will help you to help you carry your cross and follow after the Lord in the weeks and months that lie ahead. And let us not forget where the Cross leads us… not to unending death but rather to the new life of the Resurrection. This is the very mystery we celebrate at this and every Mass, death to oneself and one’s sins followed by a resurgence of God’s grace, leading us toward that day when every tear will be wiped away, that unending day when we shall rejoice to see face to face the crucified and risen Messiah whose Name we have proclaimed in season and out of season, whether convenient or inconvenient. Once again, I am honored to serve you, I promise you my prayers, and please do remember me in your prayers, now and again – and may God bless us and keep us always in his love!